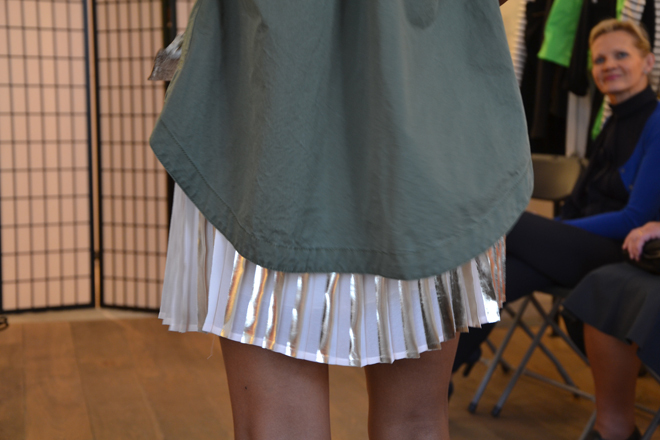 The asymmetrical parka and pleated skirt. The Pleated dress and lovely trench. See-trough geometrical top and amazing pink pants. Sweatshirt dress with feminine details.